The library website is your portal to research materials available online. 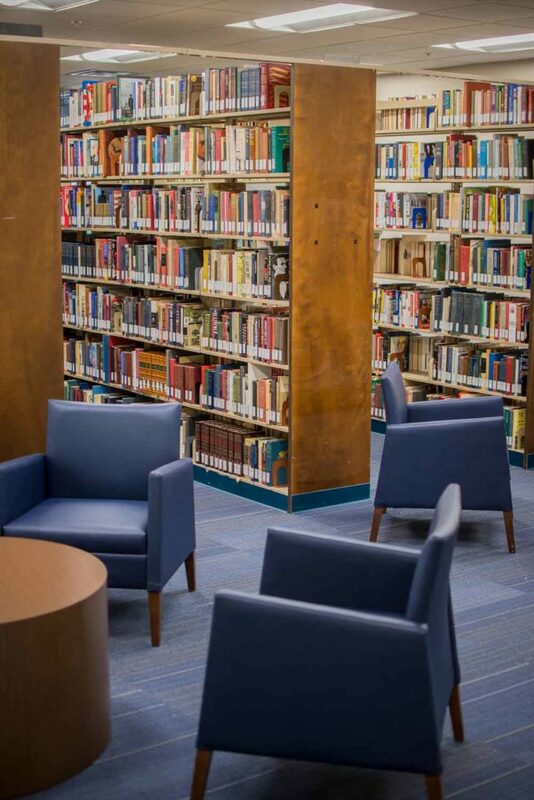 Here you can search our catalog to find books and media, access our ebooks, and access the 200+ research databases available in a wide variety of subjects from art to law to biology to music. The library offers LibGuides, which are research guides for a variety of subjects and topics. For additional information, please visit Research Help. Here you will find subject guides, citation help, and more.